In a letter to parents, the Most Rev. Roger Foys said the diocese was too quick to condemn the actions of the Covington Catholic High School students, particularly those of Nicholas Sandmann, the boy who was seen on video facing off with Native American elder Nathan Phillips as he performed the song "American Indian Movement" near the Lincoln Memorial. "We should not have allowed ourselves to be bullied and pressured into making a statement prematurely, and we take full responsibility for it," Foys wrote. 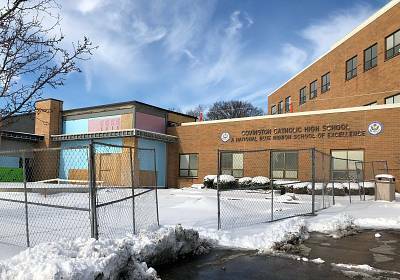 "I especially apologize to Nicholas Sandmann and his family, as well as to all CovCath families who have felt abandoned during this ordeal." The standoff made international headlines after teenagers from the Cincinnati suburbs were captured on video Jan. 18 doing a high school chant and surrounding Native Americans near the memorial. They were on a school trip to participate in the March for Life, an anti-abortion event. Many of the students were wearing MAGA hats and clothing. Phillips said some chanted "build the wall" in reference to President Donald Trump's vow to build a wall along the U.S.-Mexico border. An initial video shared on social media appeared to show Phillips and a few other Native Americans surrounded by teenagers who looked as if they were taunting and chanting at the troupe. Some young people performed what was described by critics as the "tomahawk chop" hand motion. "Nicholas unfortunately has become the face of these allegations based on video based on video clips," the bishop wrote. "This is not fair. It is not just." He said an investigative team has been "engaged" to get to the bottom of what happened in Washington. "We apologize to anyone who has been offended in any way" he said in the letter. Immediately after the standoff, a spokeswoman for the diocese issued a statement that criticized the students' behavior. 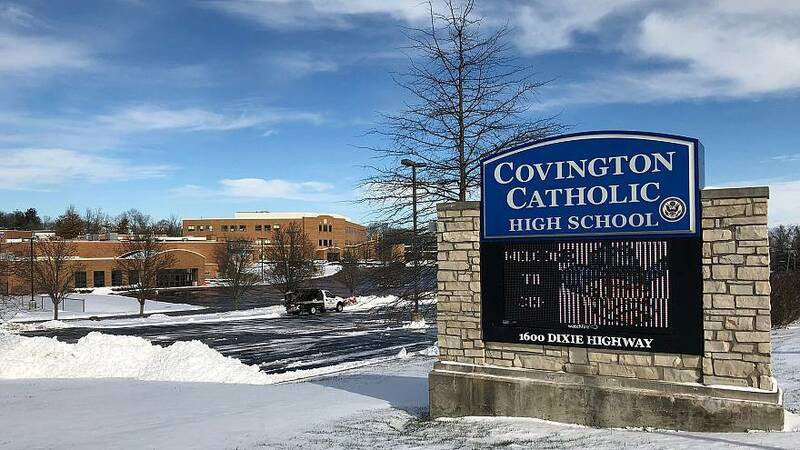 "We condemn the actions of the Covington Catholic High School students towards Nathan Phillips specifically, and Native Americans in general, Jan. 18, after the March for Life, in Washington, D.C.," the diocese's statement said. "We extend our deepest apologies to Mr. Phillips. This behavior is opposed to the Church's teachings on the dignity and respect of the human person." Sandmann's family hired a public relations firm to help him navigate media attention. He told NBC's "Today" that he was not trying to show disrespect. "People have judged me based off one expression, which I wasn't smirking," he said. Both Sandmann and Phillips said they felt threatened. Phillips, also appearing on "Today" separately, said, "Even though I'm angry, I still have that forgiveness in my heart for those students." Many Americans came to the defense of the teenagers after additional video from the confrontations showed that the students had been verbally attacked by a group of Hebrew Israelites. After that, the video showed, Phillips approached and began performing the song. "I mean, in hindsight, I wish we could've walked away and avoided the whole thing," he said on "Today. "But I can't say that I'm sorry for listening to him and standing there."